The Ottawa Senators have every chance in the world to win Game Seven on Thursday, while their opponents have seen it all before. The Pittsburgh Penguins found themselves in a Game Seven situation last year and faced the Tampa Bay Lightning. The Penguins won and went on to win the Stanley Cup. The road hasn’t been easy for either team, in fairness. The Senators were blown out of Game Five by a final score of 7-0. They came back to avoid elimination in Game Six, but it’s been difficult to overcome the nightmarish scenarios from Game Four and Five. Ottawa was outscored 10-2 in those two losses. The Penguins were blown open in Game Three, when the Senators took home a 5-1 win and scored four goals in just under 13 minutes. 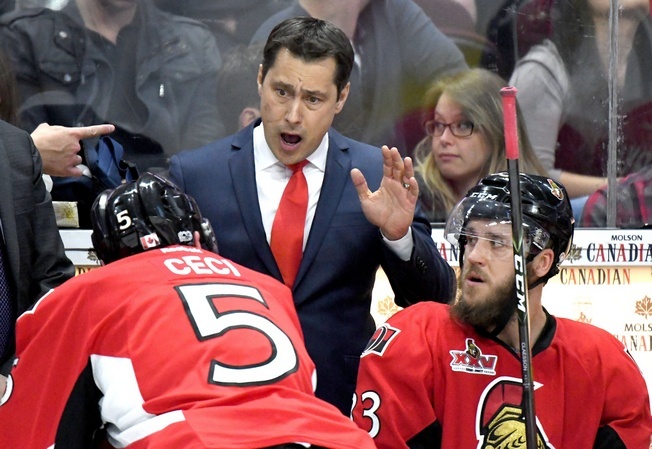 But the problem for Ottawa was that the big wins have made them divert from their game plan. Experience is also on the table. The Penguins just have more of it. Ottawa’s expected roster has a total of 20 games of Game Seven experience, while Pittsburgh has 62 games of Game Seven experience. Pittsburgh expects to have defenceman Justin Schultz and forward Patric Hornqvist back in the line up, by the way. The Senators have pulled off a few tight victories thanks to goaltending, though, and they may well have the edge in that department. Craig Anderson kept them in it for Game Six and made 45 saves in that contest, which led to Thursday’s do-or-die scenario. He’s been able to bar the door from time to time, even if the Penguins have found ways to score – especially from down low. And although Anderson was pulled in Game Five, so what? The Senators’ win in Game Six marked the third time during the 2017 Stanley Cup Playoffs that a team won a game after losing the previous one by over six goals. Blowouts have been bounce-back opportunities for the likes of the Edmonton Oilers and Anaheim Ducks. That proves the one that about these playoffs that seems to be true: they’re defiantly unpredictable. Momentum hasn’t meant much from game to game and the Senators and Penguins will have to face that reality come Game Seven on Thursday night. Or maybe, there are more eloquent ways to put it.